Classy, Splendid and Fabulous – this is the perfect way to describe a girl’s dress. We all love to see our beautiful girls in the best attire possible. However, many are in the notion that elegant, designer clothes for kids come with a heavy price tag. It’s now time to shed this misconception. Welcome Flutterbows – a unique destination to woo away all the pains of getting that special dress for your little girl to match any occasion. Flutterbows- Fashionable Dresses for Girls! 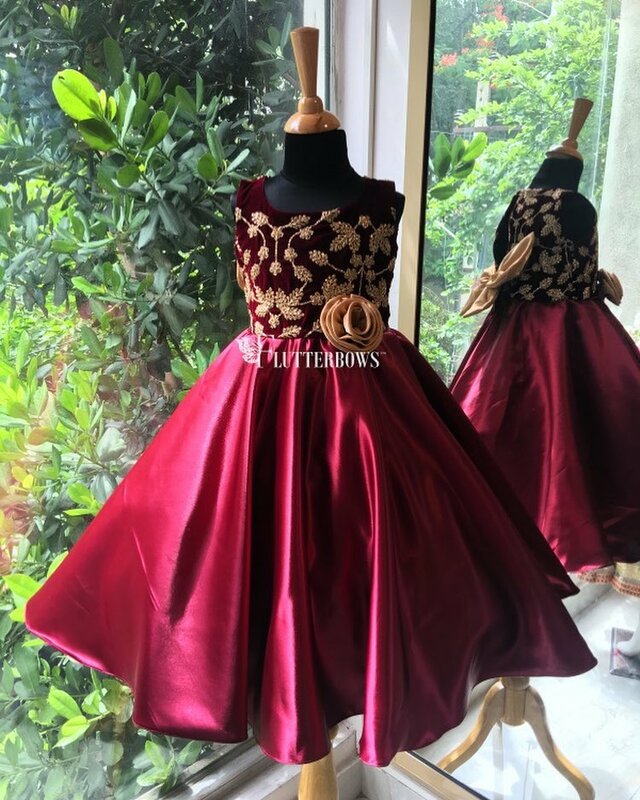 Flutterbows was started four years ago in Bangalore, India in 2014 by Ms Anisha, an MBA who has a unique sense of fashion as well as a passion for designing dresses for baby girls to young adults. Today, this kids fashion boutique ships elegant dresses to princesses worldwide using amazing colour combinations that blend in with the finest quality material to give your little girls the most comfortable, smooth and soft textured clothes that last long too, thanks to the margins provided. Target Audiences for these fancy dresses! Flutterbows stands to create anything – customized, unique and out of the box for your little girl. They cater to all age groups from tiny tots to teenage girls. However, on request, they even custom design specific theme dresses for mom and daughter duos as well. Any fashion boutique offers customization. However, the design and material uniqueness make Flutterbows stand apart. There is a sense of passion to deliver the best that is both comfortable for the child as well as for the parent (in terms of pricing)! A personal and collaborative design team helps bring out the best party dresses, traditional or themed wear for the girls that make them a princess in the true sense. They have personal interactions with their customers by taking in all their requirements to deliver the best design possible and also provide after sales service to support customers in the long time. Want that favourite dress you bought for your little one to be used for longer? Flutterbows will add a trim or two and give you the desired length you require. They work on an exclusive line of organic clothing – for those customers who have very specific requirements of non-chemically treated cloth. These materials are specifically grown without chemicals and colouring agents during the production phase. This ensures that kids feel no discomfort, itch or rash and the clothing is not harsh on their tender skin. They design and deliver anything – party wear for girls, first birthday dresses for babies, coordinated dresses for tots, teens and moms, traditional wear for baby girls, western wear, floral dresses, animated character dresses like Snow White, Cinderella, Elsa – you have an idea and they can make it a reality! The fabrics, laces, crystals are all made of the best available material that makes it truly comfortable for your girls. Finally, the time has come for you to decide if you want your girl’s dresses to be just one or be one in a hundred! Visit this Girl’s Fashion Brand to ensure that your little princess is in the best attire that is trendy as well as comfortable! It is now time that you start dressing your girls differently for Creativity never ceases to exist!